MORE ON DOWNED RUSSIAN JET IN SINAI: NO DISTRESS CALL WAS MADE, CRAFT SPLIT IN TWO.. – The Tundra Tabloids……. MORE ON DOWNED RUSSIAN JET IN SINAI: NO DISTRESS CALL WAS MADE, CRAFT SPLIT IN TWO.. I reported earlier that other sources of mine were saying that it was very unlikely, but with new info being brought to the light of day, it’s not so sure it was mechanical failure that brought that plane down. The Islamic State has released a video purporting to show the final moments of the Russian jet that crashed in Egypt, killing all 224 people on board. 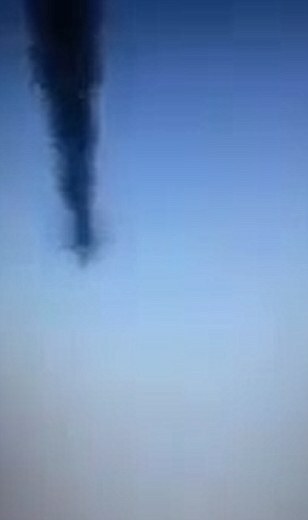 The terror group has claimed it downed the aircraft, but has not said how it might have done so. 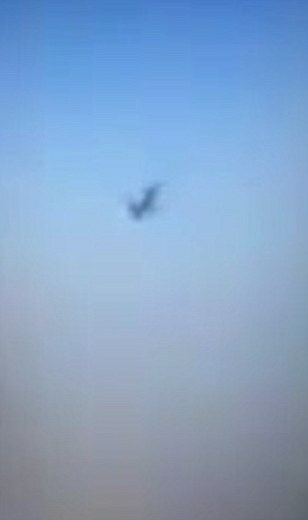 The horrific footage – which was posted online and cannot be verified by MailOnline – shows a large structure resembling a plane falling through the air, before being consumed by a mass of smoke. Cairo and Moscow have denied any possible terrorism link in the incident, which was one of the deadliest Airbus crashes in the past decade. It comes as it has emerged that the burning Airbus A321 did not lodge an SOS call before it plummeted to he ground in the restive Sinai Peninsula. Egypt’s civil aviation minister Hossam Kamal said communications between the pilot and air traffic controllers were ‘normal’ ahead of the disaster. ‘There was nothing abnormal… and the pilot didn’t ask to change the plane’s route,’ he said, adding that the controllers recorded no distress calls. Family and friends were yesterday pictured grieving for their loved ones – as harrowing images of the plane’s mangled wreckage were released. The photos were distributed by the office of Egyptian Prime Minister Sharif Ismail, who visited the crash site following the devastating crash. They show the destroyed interior of the Irish-owned aircraft, which split apart upon impact, killing 192 adults, 25 children and seven crew members. Previous Post Previous Post BLACK COLLEGE DEAN LISTENING TO MUSIC WHILE WORKING OUT IN STREET STOPPED BY POLICE FOR SAFETY HAZARD, CLAIMS RACISM……..
Next Post Next Post POS GITMO (NEWLY RELEASED) PRISONER ENTERS UK, HUG FEST FOR ISLAMONAZI ENSUES……..